Today would have been my paternal grandfather’s 101st Birthday. Here’s a little ‘happy birthday’ nod to him, and some photos from his life. Today would have been my paternal grandfather’s 101st birthday. Percy Martin was born on the 1st October 1913, as the third of four sons of Daisy (née Burnell) and Herbert Martin of Little Downham, Cambridgeshire. In 1917, during the First World War, when he was only a little over 4yrs old, his father was killed in a train accident in Boulogne, France. Percy Martin (1913-1991), outside St Owen’s School, Third Drove, Little Downham. Percy appears to have gone to St Owen’s School on Third Drove of Little Downham Fen, alongside his Martin brothers and cousins. 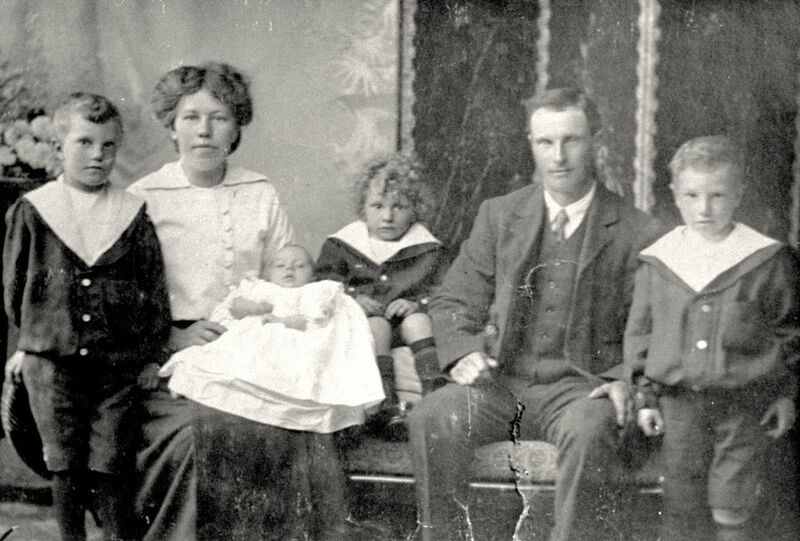 L-R: Sydney James, Daisy (née Burnell), baby Cyril, Percy, Herbert, and Herbert George Martin – circa 1916. Within months, Herbert would be killed in a train accident in Boulogne, France. The photograph above shows the four sons and their parents – within less than a year, his father was dead. His widowed mother, now with four sons all under the age of 8yrs, eventually re-married in 1919, and had three further children – half-siblings to Percy. 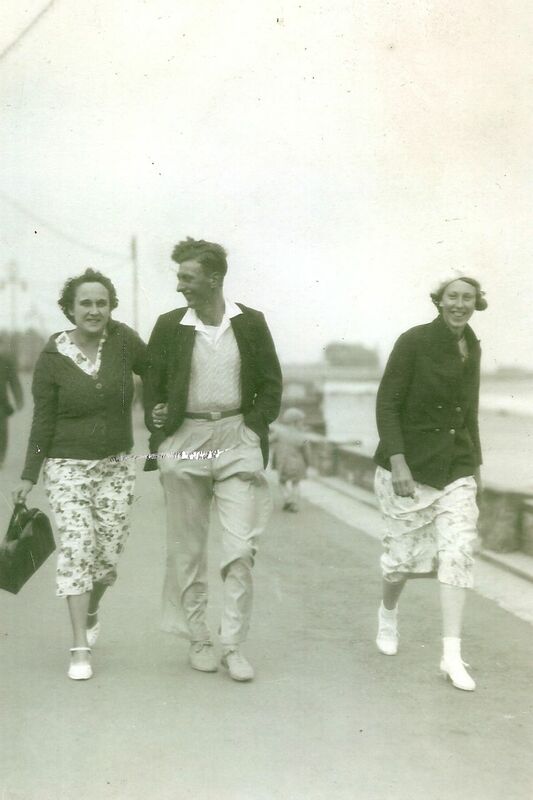 Edna and Percy, with Percy’s half-sister Edith Shelton, visiting the seaside, circa 1935. Percy married my Grandmother Edna in 1937, and together they had four children, although they later divorced. Percy re-married to Irene. He worked mostly for the Great Ouse River Authority in Cambridgeshire. I was fortunate to know my grandfather for about 13 years (both grandfathers as it happens), and whilst it saddens me that I never really got to know him, and not at all as an adult, I’m pleased that we were able to spend a little time together. Percy died on 9th September 1991 in Ely. Fabulous photos, and a lovely way to remember your grandfather’s birthday. Excellent. I have just seen these post. 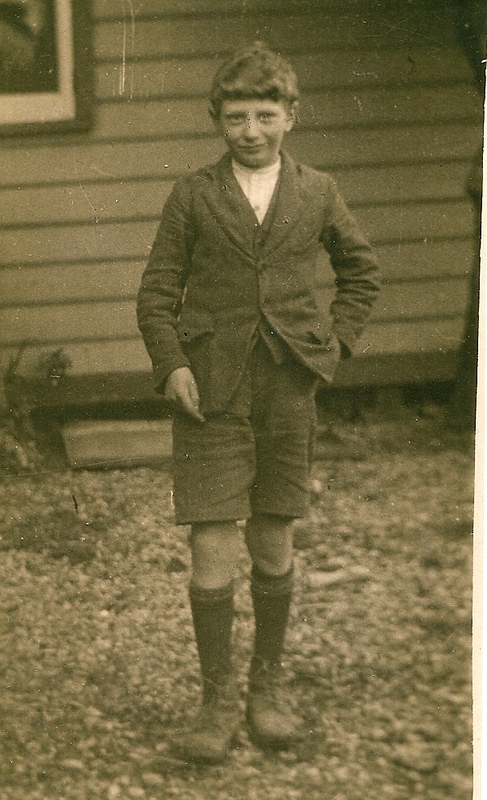 I do not think there is an earlier photo of my father, Cyril. I remember well Uncle Percy. Many thanks Andrew.